A small troop of these appeared through the leaf litter at the base of a Sycamore which was growing amongst some Oaks. Unclear what they were going to be, although the diameter of the stem suggested something substantial. The base of the stem looks like a volva - so possibly an Amanita. They are Parasols - Macrolepiota procera. 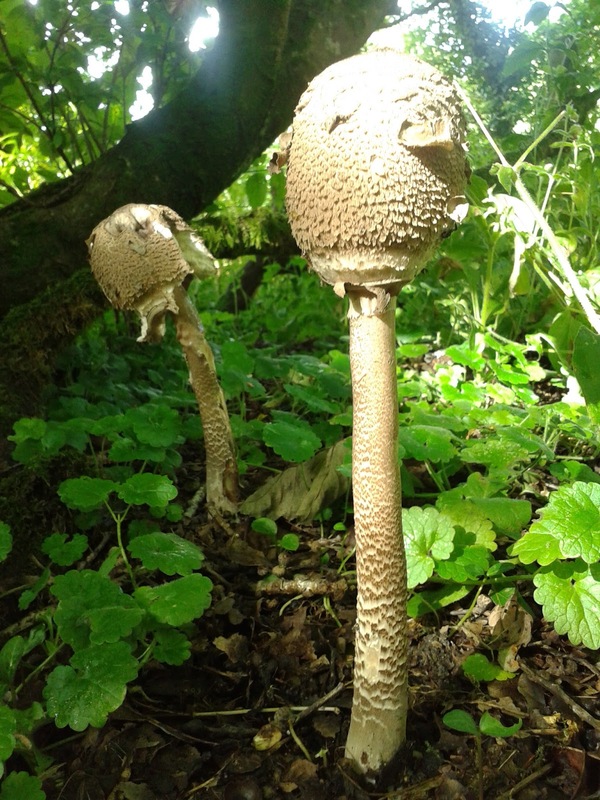 The snakeskin pattern on the stem distinguishes them from the other parasol Chlorophylum rhacodes. I'd never have guessed from the first photo. Yes, great images.